A new sub-brand from Silver Moon Brewing will make its official debut in Portland on Monday, April 1st from 6:00-8:00pm at Produce Row Cafe. 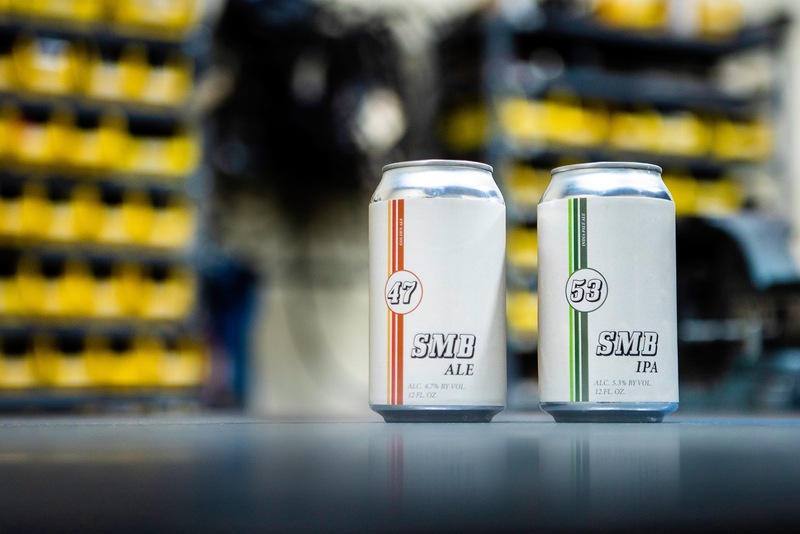 SMB is a new brand that has a tag line of Beer For Doing Stuff debuts with two beers – SMB Ale and SMB IPA. What seems to be a targeted lifestyle brand from Silver Moon Brewing, SMB’s Facebook page is full of photos of people working; from chopping wood to sewing to car repair; all while continuing to work. The two beers currently available from SMB feature a can label that brings back memories of Herbie the Love Bug and the car’s iconic number and racing stripe. The numbers on each of the cans coincide with the beer’s ABV – SMB IPA 5.3% ABV and SMB Ale 4.7% ABV. We have seen that the beer has been retailing at only $8.00 a six-pack in the Bend area. At the Produce Row launch on Aprils 1st, there will be SMB employees on sight to help field questions on the new brand. Follow SMB on its website, Facebook Page, and Instagram.